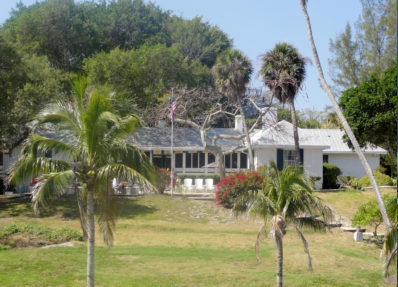 Our daily Eco Lunch Cruise goes to the famous Cabbage Key Inn for lunch. Built on a Native Calusa Indian Mound on a private island, the views from this historic Inn overlook Pine Island Sound and the Intercoastal Waterway. Add a visit to Cayo Costa State Park from 1:00 to 3:30pm for an additional $10.00 per person. Contact our office 239-283-0015 to add this side tour. To confirm reservations we will need a credit or debit card (anything except for American Express) the card will be processed 24 hours prior to departure so you will have until then to make any changes to the reservations (any one person cancels or to cancel the entire trip)Any cancelations before then there will be a $5 fee. The marina does charge $8 per vehicle for the day for parking. The trip is an hour and a half narrated cruise over to Cabbage Key. We will stop briefly at Cayo Costa to let off any day visitors spending the day or half day at the beach. You will get to Cabbage Key at approximately 11am and will have until 12:20 for lunch we will depart Cabbage Key at 12:30. There are no beaches at Cabbage Key. Due to the endangered native wildlife on the island no dogs are allowed on Cabbage Key. Cabbage Key does have a 1 check per table rule for groups of more than 6 persons. We will get back to get back to the marina at approximately 2:00. All trip schedules and rates are subject to change without notice. Tropic Star is NOT responsible for delays/changes caused by weather/unforeseen conditions.